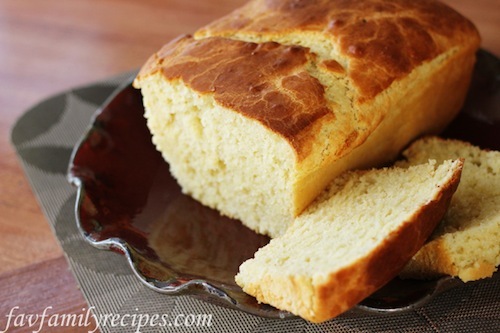 I noticed this recipe for Sally Lunn Bread from favfamilyrecipes.com pass through my Google+ stream today. It quickly reminded me of our trip to the UK back in 2010. 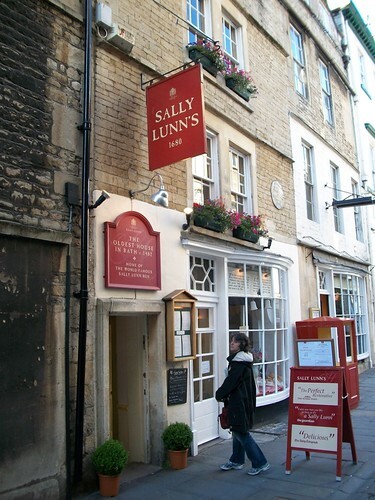 We spent 2 days in Bath and had lunch at Sally Lunn’s. The food was very good, especially the buns. I can’t wait to try this one out here at home. Here is a photo of my wife, Rosanne, outside the Sally Lunn shop, just before we headed in for lunch. We really loved Bath and want to return there as soon as we can, hopefully with more time to explore more of the city and area. We took a 1/2 day out of town to visit Stonehenge and didn’t really have as much time as we wanted to explore. At least the fairly long drive to Stonehenge gave us a chance to see the surrounding countryside. You can see all our pictures from Bath and Stonehenge in these two Flickr picture sets. I have been on an ice cream kick lately. Although this would have a lot of sugar in it, it might be worth trying once. Basically you combine any soda with sweetened condensed milk and then freeze as you would any ice cream. Simple. I like the idea of the Orange Crush Ice Cream and maybe a root beer one, too. You wouldn’t want to have it everyday, but it could be a beat Summer treat every once and a while. I wonder if you could make it with diet soda to cut some of the calories? Living in a big city like Los Angeles, you can see and hear a lot. In such a large city, helicopter activity is nearly constant. 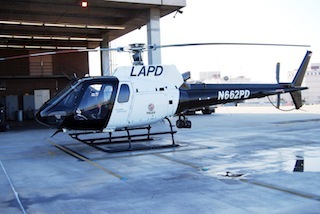 Nearly every day I hear an LAPD helicopter orbiting overhead covering some police activity. In the last few days, this audio has proven very useful in discovering where a police incident was happening and also learning a bit about what was happening. Whenever I heard the chopper overhead, I would tune in listen for a few minutes. The quick mention of an address what usually all I needed to understand how the incident might impact me and in nearly every case, move on with my day. One of the biggest reasons for wanting to know the location of an incident is simply to avoid the location so as not to get involved in the incident itself, but more importantly for Los Angeles, not get involved in any traffic jam that might be caused. RadioReference.com has scanner links for many metropolitan areas, so even if you don’t live in Los Angeles, you might find something useful there. I have been on a bit of an ice cream kick lately since I picked up the ice cream freezer attachment for my KitchenAid Mixer. 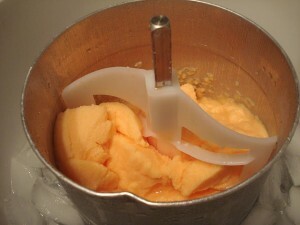 This is essentially a big bowl that you freeze overnight and then attach it to the mixer which agitates the ice cream mix and helps it freezer in very small, smooth crystals. We have made a gelato, a granita and some great vanilla ice cream with it, but I am always on the lookout for new things to try. While it might be a little expensive to use this much Nutella, this recipe certainly sounds worth a try. We love Nutella and are currently nursing a huge bottle of Italian Nutella we brought back from our last trip visiting family in Sicily. Here in America, all the Nutella is made in Canada and, some say, has a slightly different flavor. Still, I think this could be great even using an off-brand of hazelnut-chocolate spread. I first saw this recipe on Pinterest.com, which is exploding as the next great social media, link sharing site on the Internet. You can follow all my shared items on Pinterest by visiting my personal page. Waaaaaaay back in the 1996 we were looking for a contractor to do some small work on the house we had just bought. Being a tech guy, I headed over to the Internet to see what I could find. Brian had an AOL web page that came up in a search, we contacted him and hired him for this small job and several larger jobs over the years. He is GREAT to work with — professional with a great crew. In every case, he was able to clearly see what we wanted, offer great advice, and make it happen. If you need a contractor for your project — large or small — give Brian a call. I think you will be as happy as we have been with his work over the years. We specialize in residential remodeling and room additions, and we’ve done everything from fixing a chair to building a house. We’ve also done many select commercial/hospitality jobs. I personally designed many of our projects and have worked with some of the most talented architects and designers in the business. You can see examples of Brian’s work on the web site linked above and also on these additional sites. Tell him the Douglas and Rosanne sent you! I am a sucker for a cocktail, especially a nice warm cocktail for the cool Winter nights. Add to that my love for all things maple and this cocktail jumped out at me when I first saw the recipe. Blame my love for maple syrup on my Ohio childhood. We had a few folks who used to “sugar” around our small town and it was always such a treat when the syrup started to appear at roadside stands. I don’t normally keep vermouth in the house, but thanks to the relatives from Sicily, I do have some Amaro sitting about. I don’t really like it straight, but mixed into this sweet cocktail I think the bitter would be a unique twist. I would probably add a but more maple syrup to my cup, just to make sure it wasn’t masked by everything else. 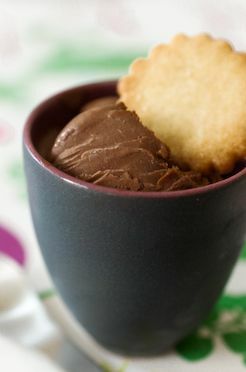 Click through for the complete recipe via Pinterest. This is my homemade vanilla extract after just 1 day of steeping. Wow! This is going to be sooooooooo good! 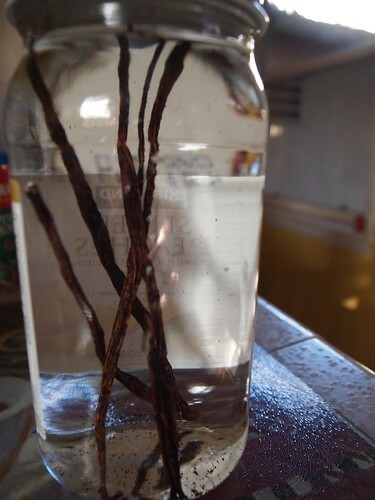 I had purchased some vanilla beans from Amazon.com in preparation for making vanilla extract, but darned if I had \ever gotten around to actually making it. One issue was finding a suitable jar to steep the beans and alcohol, but recently a jar of peaches presented the perfect container. It is wide mouthed enough to allow easy access when I need to add new beans and alcohol in the future, but not so large that I would make so much that I would never use it all. Since this jar is clear, I will keep it in a cool dark location so that sunlight doesn’t spoil the mix, but once I start drawing on this batch, I will move it to smaller, dark plastic or glass containers to keep in the kitchen. So, how do you make vanilla extract? It couldn’t be simpler! 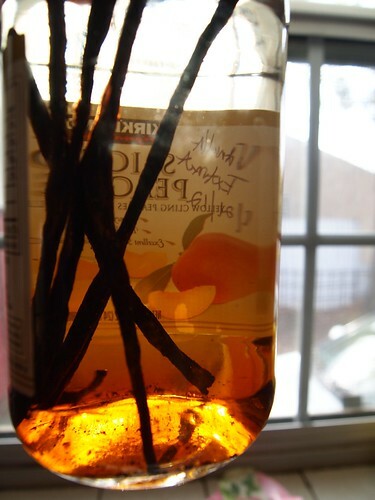 Take vanilla beans and steep them in vodka or other neutral grain spirits like Everclear. For this batch, I picked up a 1/2 gallon of inexpensive vodka I found on sale over the holidays. The alcohol will pull out all the vanilla goodness and turn a dark brown. The process takes a few months to work, but you will be rewarded with pure vanilla extract whenever you want to use it for your baked goods. This batch will come in handy for my next batch of cookie baking, for sure. 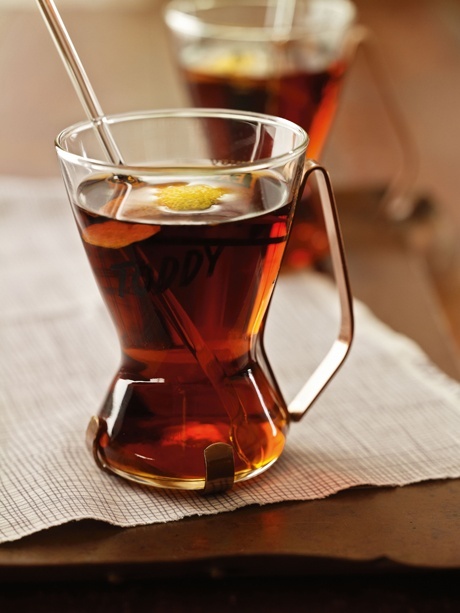 As you use the vanilla extract, you can top up the jar with more alcohol and let it steep some more. You will eventually will way to replace the beans as well, but you will be surprised how much flavor they contain. I hope the SOPA/PIPA battle will help to hasten an end to those who are willfully and stubbornly ignorant about technology. Technology effects every part of our lives and I find it repugnant that anyone charged with governing would gladly brag about how little they know about it. Could technology knowledge be a defining factor in breaking through the “old white men” bias of government and help to inject some new thinking into government? Need help with your technology gift decisions? Let’s Talk!